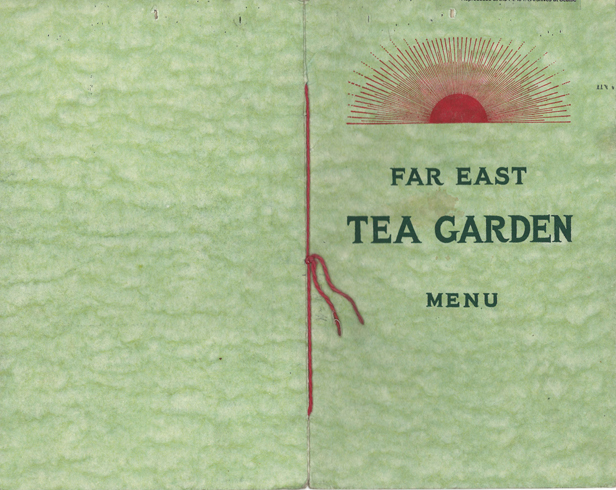 1922 Menu from Far East Tea Garden, Washington, D.C.
“Menu from Far East Tea Garden,” Washington, D.C., 1922, Chinese Exclusion Act case files, RG 85, National Archives-Seattle, Benjamin D. Fong file, Box 1225, Seattle Case 35100/4945. 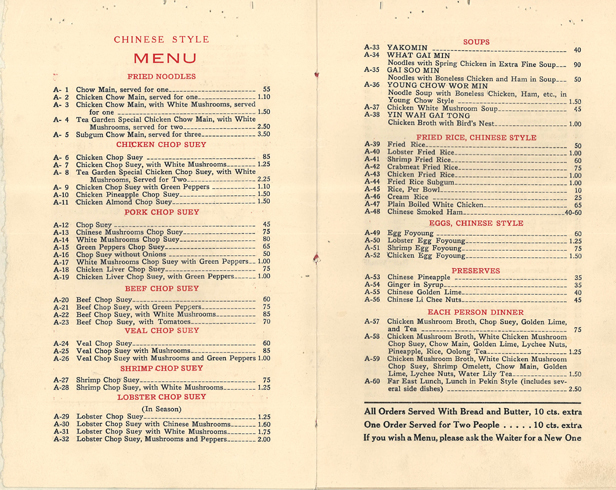 In 1922 Benjamin D. Fong also known as Der Ben Fong filed for pre-investigation of his claimed status as a domiciled Chinese merchant of Wilmington, North Carolina. He wanted to accompany his ill father, Der Foo Sam, back to China. There was some question about Fong’s status as a merchant and rather than jeopardize his exempt status he withdrew his application. A family friend went back to China with Fong’s father. Fong showed the interrogators his 1910 Certificate of Identity and his 1917 military registration certificate issued in Mecklenburg County, North Carolina. 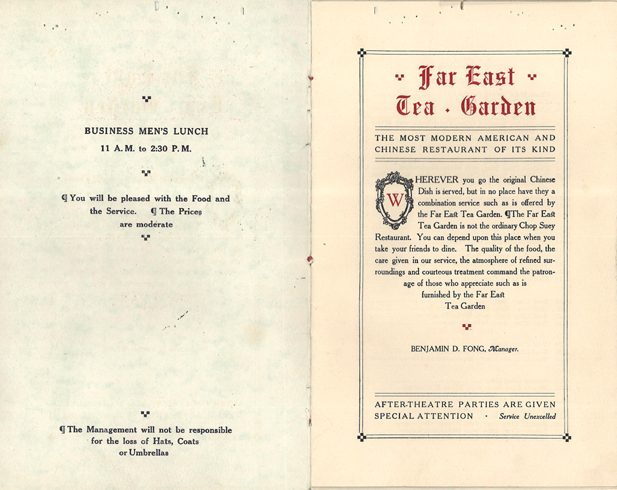 His white witnesses were L. Stanford McCarthy and Leonard W. Degast of Washington, D.C. A menu from Far East Tea Garden, 1412 New York Avenue, Washington, D.C. is included in the file. In spite of all this information the inspectors thought Fong might be a laborer not a manager or merchant.